Our view from the third floor of The Schoharie News office in Schoharie is unmatched, for we possess a commanding vantage point to observe all the historic village has to offer. To our right we can see the Daughters of the American Revolution Hall, the Heritage House, and the beginning of the municipality's residencies. In front of us resides the county building, courthouse, and the daily coming and going of hundreds of people. Looking left, we encounter both Schoharie's finest and most disappointing displays. On the finest spectrum rests the village's business district, which has grown at a impressive rate since the floods of Irene subsided in August 2011. It's truly inspiring to see as storefront after storefront has become occupied. However, also looking to the left, we can't help but see what stands as the albatross of Schoharie: the Parrot House, which for one reason or another, has remained vacant for years and as such has stood out like a sore thumb in a beauty contest on Main Street. We understand the reasons behind its current closure: expensive repairs, health violations, and a series of less than savory operators. The Parrot House is old and it requires more than just a little tender loving care to bring it back to glory. (probably to the tune of hundreds of thousands, if not millions of dollars). But bring it back to glory, we must. More than just a bar and restaurant, the Parrot House offered curious visitors to the Schoharie Valley a historic lodging to rest their spurs at, fine food to wet their appetites with, and a starting point for which they could experience all we have to offer. Much like Guilford Mills did in Cobleskill, the Parrot House poses daunting challenges to the future of Schoharie, because in its current state the building is a neutral object that, although unused, isn't causing a net loss to the village, but fully operational it would be nothing short of beneficial to its revitalization. The first step to solving any problem is to admit that a problem exists in the first place, which I hope we all know by this point. 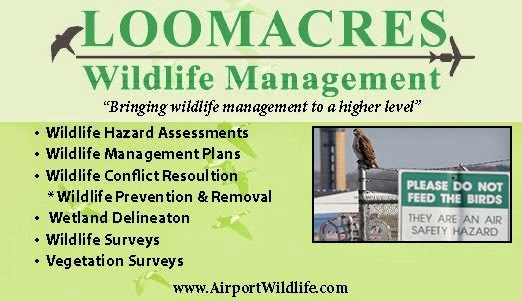 Our question is: how do we get to step two and start addressing Schoharie's albatross in a productive and successful manner? That - we are not pleased to admit - but we don't even know where to begin. What we do know is going back to our commanding view of the village, that we reside somewhere special with a lot of potential, which when put together, will restore Schoharie back to being the jewel of the Valley. 1. Developed a long term community revitalization strategy that included a whole economic and marketing analysis, of which the Parrott House was a priority. 2. Participated in the NY Rising planning effort for CDBG-Disaster Relief funds of which the Parrott House and other historic structures were deemed priority projects for funding. 3. Worked to help re-start the Schoharie Community Development Corporation and they are now very active in community and economic development activities. They are working with the Village to be proactive in rehabilitation of the Parrott House and Taylor Block. 4. Developed a marketing campaign for the village which includes a new website, new village logo, and marketing materials. 5. Retained a grant writer to assist in obtaining other funds for priority projects. 6. Wrote a grant and received funds to develop a recreation based plan to address the FEMA buyout properties, Fox Creek park, historic locations, etc in a village wide recreation program that uses the Creek as a positive, not a negative. 7. Has a group of citizens that have already planned and developed a historic walking tour. 8. Has worked with the real estate agents for the Parrott House and Taylor Block to provide all this information so prospective buyers see the opportunities in the Village. 9. Have requested funds to do a historic resource inventory as a first step to help landowners understand the benefits of listing structures on the national historic register. 10. Will be proactive in applying for other funds for other top priority projects such as efforts to reduce flood insurance rates. 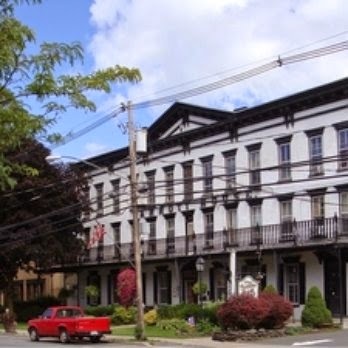 I hope you will agree that this has been A LOT of effort to address making the Village of Schoharie a place people will want to invest in - such as the Parrott House. I grew up in the village, though I don't live there anymore. Much of my family still resides in the village and I will always have wonderful memories of my childhood in Schoharie. I was just discussing the Parrott House this week with a friend from the area. I would love to see the place revived in some form. Perhaps it could be used as a banquet hall rather than a traditional restaurant. People could have events catered there by local caterers/businesses. Maybe looking into combining professional construction teams with students from SUNY or other local schools in some form of apprenticeship would allow for a valuable learning experience with school credit and lower labor costs. I realize these are just a couple of simple ideas, but I believe reviving the Parrott House would be a great help to the local economy, local businesses and a morale boost to everyone who loves Schoharie.